The 3 Peaks Resort and Beach Club is a top South Lake Tahoe hotel which offers non-smoking classic cabin-style Tahoe hotel accommodations for a great Sierra mountain vacation experience. Beautiful Lake Tahoe scenery large rooms and central location are just a part of what makes the amenities at 3 Peaks Resort superior to that of most other South Lake Tahoe hotels and resorts. Guests of the 3 Peaks Lake Tahoe hotel enjoy the convenience of being 2 blocks away from our private members only beach with affordable Tahoe hotel deals. . .The 3 Peaks Resort and Beach Club Tahoe Hotel is located 2 blocks from the Heavenly Valley Gondola and 3 blocks from the Lake Tahoe casinos with plenty of fine dining nearby. The location only adds to the value making your stay at 3 Peaks Resort a top South Lake Tahoe hotel. The 3 Peaks Hotel and Resort is in walking distance to everything you*ll need to make your vacation in Lake Tahoe CA absolutely wonderful. At our hotel we have large wooded grounds that stretch from Park Avenue on the West to Pine on the South and Manzanita on the North. 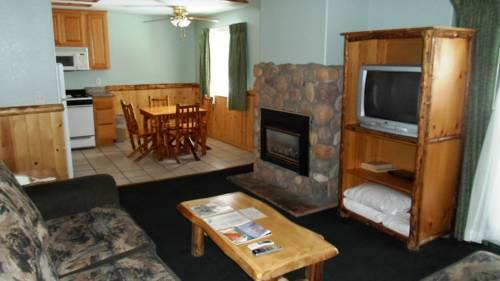 The 3 Peaks Resort and Beach Club has a fantastic choice of South Lake Tahoe hotel rooms and suites to make your stay a relaxing comfortable and memorable one. Furthermore there is always something to do and see during your stay at the 3 Peaks Resort. Whether you are into skiing snowboarding hiking biking fishing swimming or just relaxing the 3 Peaks Lake Tahoe Hotel has something for everyone. . That*s what makes our hotel one of the best Lake Tahoe hotels. Make your hotel reservation online today and let us make your South Lake Tahoe California vacation one you will remember forever. See for yourself why 3 Peaks Resort and Beach club was voted one of the best Tahoe hotels.